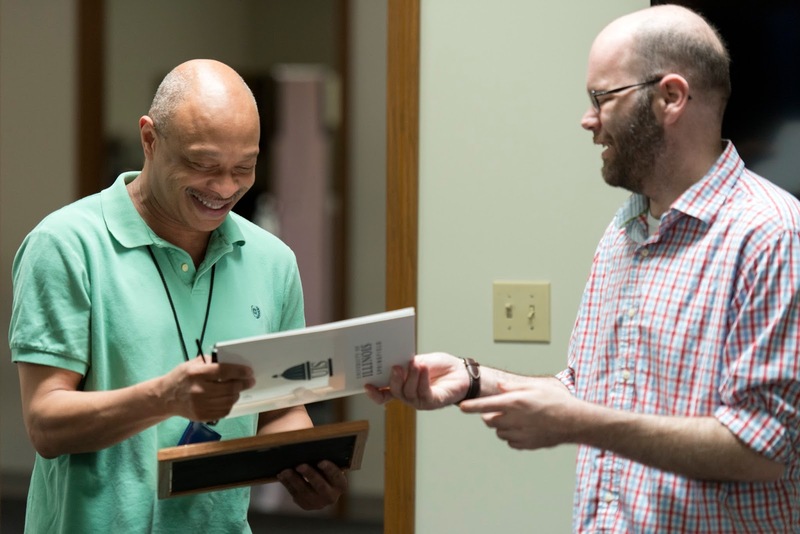 Booker Crombie has been named the University of Illinois Springfield Employee of the Month for March 2017. Crombie is a building service worker in Lincoln Residence Hall known for being a “ray of sunshine” who helps to take good care of students and staff. “Since he works in a dorm, you can only imagine the situations he has to deal with: dirty doors and windows, floors, public restrooms, overflowing trash dumpsters, etc. I have never heard Booker complain about his job,” said his nominator. Crombie’s supervisor says he always exceeds expectations and often shows initiative to go above and beyond what is expected. His nominators say Crombie has been an outstanding resource to the cleaning crew of student workers and everyone who lives in Lincoln Residence Hall. “His diligence, optimism and dependability make him an excellent candidate for employee of the month,” said his supervisor.